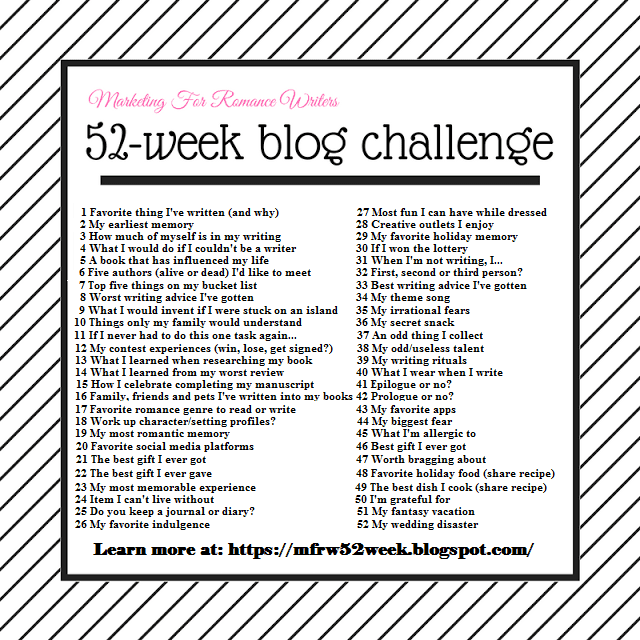 This Is Week 3 of the 2018 Marketing for romance Writers Blog Challenge. The topic is How Much Of Myself Is In my Writing. Finally an easy or a least for me, topic. The answer is a lot! Each of my stories has some aspect of my life. I probably over share in my stories. Wo’s gonna know right? In each of my stories, i may have one line, a look, my clothes, a pet, my home a favorite object, a hobby you name it. I feel it enriches the characters. In this story I am working on now, My Dome home is featured. The entire story is based on an epic event in my life– The Ice storm of 2009. I live in a very small mid-south town where though we get snow and even some sleet we have not had such a devastating ice storm. No one was ready. Ice downed trees and power lines. We were without water at the least of three days and power a week for the lucky of us months for others. I feature my dome home and my husband’s woodworking. I stepped out on my porch for some reason I don’t remember and a tree branch snapped nearly missing my head knocking me to the porch. It bruised my shoulder badly. This is where the facts end and fiction takes over. I made this an MM romance and hope to tell you more in the future. In one of my stories, I talk about my grandfather’s old farm, One I use the way I dress in hippie cloths and my crafting. No matter how much or little I add there is something. Keep watching my blogs, Facebook page especially follow in my group Cat’s romance-A_Holics because some day ill be asking trivia for prizes. Do you like seeing bits of your favorite Author in their stories? Do you follow authors to learn more about them? Who are some of your favorites? Let’s go see if the other Authors put themselves into thier books. Raine Balkera – How Much of ME is in My Writing? Sherry Lewis – Ugh! Algebra! Dee S. Knight – How Much of Myself Do I Put in My Writing? Kim Cleary – I’m In My writing – And Glad! Peggy Jaeger – Am I getting too personal? Val Tobin – How much of myself is in my writing? I can tell that you have fun including snippets of your own life. The great thing is that nobody else is going to know what’s real and what’ imaginary. Interesting post, Cathy. I missed the Linky and the blog post this week. (I still might write it.) You’d have the inside information about living in a dome home. It’s a unique concept to add in a book. I had mine written and forgot to come back and link. so I just published it late lol.